If you are like so many of us, eating healthy wasn’t something you were taught at home or in school. Now that you’re an adult, you realize many of those old habits have stuck with you. But it’s not too late to make a change. To gain the habits needed for a healthy body requires opening your mind to new concepts and ideas. This is where education is key. We’ve created several different types of resources to help you understand the benefit of the plant-based diet and apply it to your daily life. 60 Days to Reclaim Your Health is a free, step-by-step guide to healthy living. If you’re new to the Hallelujah Diet, this is an excellent place to begin. Each day we’ll send an email with tips and resources for getting the most out of a plant-based diet. 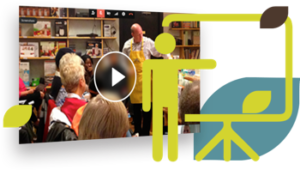 Get started today with daily videos that provides instruction, success stories, and a recipe of the day. You will receive weekly shopping lists to prepare you for daily recipe and common question answered by our health experts. Our tips will help you save time and money while restoring your health. Is a cleanse diet right for you? Can supplements help achy joints? We go over this and more. Our health experts deliver content almost every day to equip you to make the best decisions for your health. Topics include health news, real-world advice and disease prevention. See our resources here. We bring in experts once a month to talk about common health challenges and solutions. Join us as we look at one pressing health topic each month during our live webinars. You don’t have to navigate your health journey alone. We have over 10,000 certified Health Ministers across the world to help you succeed on your path to a more vibrant life. Health Ministers provide in-depth information and insights into the benefits of the Hallelujah Diet. Learn more about finding a Health Minister. If you’re going to make a lasting change in your diet, you need the right resources. For over 20 years, we have developed materials that support the case for a plant-based diet. 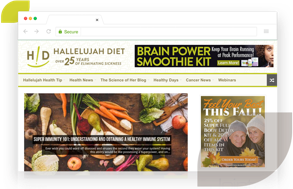 From The Hallelujah Diet to our recipe books, we provide resources on how to implement plant-based eating and experience optimal health. 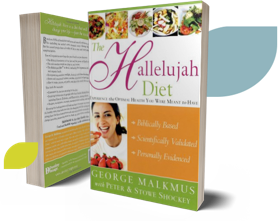 Shop our Hallelujah Diet books.